"I have known Jared Feierabend for almost 15 years and since the day he walked into the Minnesota Martial Arts Academy he has embodied the spirit of the martial arts. Since day one, Jared has been one of the most friendly, respectful and gracious people I have ever known. Behind his awesome attitude and smile is one of the most talented martial artists I know. His skill, speed, and technical precision on the mat is inspiring. At the same time his dedication to the combative side of the arts has got him recognized and regularly used by some of our countries most elite special force units. Whether on the feet, on the ground, against a wall, in a car, with or without a weapon Jared has an insatiable desire to investigate, learn and develop truly effective techniques and training methods. If your goal is to train high level Brazilian Jiujitsu from one of the most technical and skilled Black Belts in MN (if not the country), or real self defense from an individual chosen to teach and train America's super warriors...or have fun learning from one of the most genuine friendly people I have ever met, Jared is your man. I am proud to call him a friend, a student, a training partner in Military Combatives, and one I look to for innovative and effective BJJ. Rarely do you find a person with the unique combination of high level martial arts skill, honest straight forward small town friendliness and an awesome ability to teach at every level. Jared is all that and more." "Black Belt in Guerrilla Jiu-Jitsu Jared Feierabend is one of the most creative Martial Artists I have ever had the honor to train with. 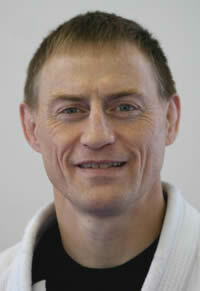 The atmosphere he has created in Brainerd follows the traditional and true Martial Way. This Family environment is conducive for people of all ages to reach their full potential. The academy creates champions on and off the mat. And I am proud to be a part of it. Thank you Black Arrow Martial Arts for your ever growing contribution to our great community!" 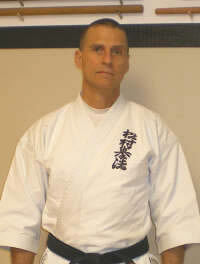 "I started Martial Arts training in 1969 and train daily to this day. I have seen the good, the bad, and the ugly. Jared Feierabend is one of the best all - around martial artists I have ever had the honor to know. He truly understands all aspects of the arts; stand-up fighting, ground fighting, and fighting from all ranges and in all situations. He knows what works, how to make it work, and how to teach it. More than that, he understands and never loses sight of the "Budo" that should be inherent in all true martial arts. I have had some of my most interesting and enjoyable conversations about the arts with Jared. I wish he and I lived closer so we could share more training and discussion time together. If anyone has the opportunity to train with this man and they are serious about the arts, they would do themselves a huge disservice by not jumping at the chance." "Jared's outstanding display of dedication to the world of martial arts is a true inspiration to me and many who have had the pleasure to be instructed by him. In my opinion a true craftsman who is humble in character and professional in the arts. World class." "Hands down the most talented and dedicated Jiu-Jitsu instructor I have ever had the pleasure of training with in the entire Midwest in all of my 12 years of grappling training. Thank you for the knowledge and time you have shared with me Jared I will remain a faithful student and friend always." "Jared is the very definition of a martial artist, and the values that pursuit has instilled into him infuse every fiber of his academy. His technique is immaculate, and his instruction is second to none. Whether you want to prepare for competition or self-defense, or if you are looking for a team-oriented workout for body and mind, you can't do better than Black Arrow Martial Arts." "Our son joined recently, he absolutely loves it! When we came through the front door we felt so welcome. We just wanted to see what you had to offer and maybe observe a class.... we weren't there 5 minutes and all the instructors came over to introduce themselves and they had Valentino in a Gi so he could jump right in to the class. I can see his confidence in himself soaring! He loves class and practices at home all the time. Your Dojo is so clean and inviting.... I love the big front window. The instructors are so wonderful with the kids. They are very encouraging and knowledgeable. They also keep the children very focused so a lot gets accomplished each class period. Thank you for all you do, I would highly recommend you to anyone thinking about joining a jiu-jitsu family. We are very pleased that we did!" "Jared is a true *world class* martial artist. Any time that you can spend learning from him is a rare gift!" "Jared's unique style is highly sought after by the most elite fighting teams in the united states government. He has trained my guys who have a very unique skill set and demand the most elite level of combat training. Black Arrow is the place to go for anyone who is new to martial arts, or wants to sharpen their blade and take their skills to a whole new level. Black Arrow is the most elite training there is! Highly recommended to all government agencies."